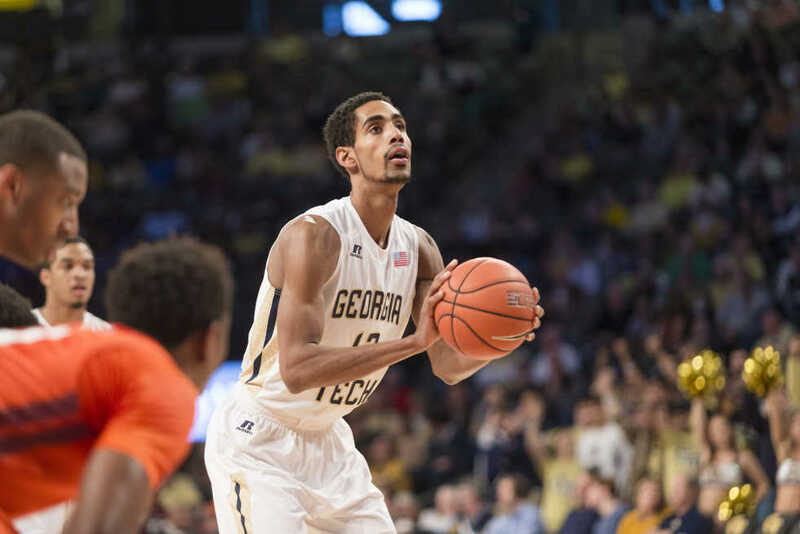 A new era of Tech basketball tips off this Friday at McCamish Pavilion. The Jackets will be led by new head coach, Josh Pastner. Pastner was named head coach on April 20 after the dismissal of Brian Gregory and he instantly got to work on the recruiting trail to secure Tech’s 2016 recruiting class. Tech only returns four of their top 10 scholarship players from last season and lost their top four scorers. This season will be a major rebuilding year for Tech and the Jackets were picked to finish 14th out of 15th in the ACC by the media. Not only will this team have a completely different makeup, but it will also play a completely different style of basketball. Brian Gregory and Josh Pastner have very different offensive philosophies and it will be incredibly noticeable this year. This new style of basketball won’t come easy to the team, but it should make for more enjoyable game as the high tempo will lead to higher scoring games. Tech loses over 80 percent of their scoring from last year so this transition will be far from seamless. The leader of this year’s team will be senior Quinton Stephens. Stephens stands at 6-foot-9 inches and can play both forward positions due to his long frame. Stephens averaged five points a game last season, but had some big performances in key games last year. Tech went 7-0 when Stephens scored ten points or more, which included a 16-point performance against the No. 4 Virginia Cavaliers. Furtermore, Stephens will be counted on as a 3-point shooter, attempting a significant 97 three pointers last year. Pastner is going to want the team to move the ball like a ‘hot potato’ and that all starts at the point guard position where seniors Josh Heath and Corey Heyward will play. However, Heath has been suspended for the first four games of the Tech season due to violating team rules. That is a big loss to the Jackets as Heath has started 25 games in his career and Tech doesn’t have much depth at the point guard position. Heath was not a star but averaged close to three assists a game last year, playing 17 minutes a game. Heyward will likely replace Heath in the starting lineup in the opener as he did in Tech’s 91-85 overtime win in its exhibition against Shorter College. Heyward only saw action in eight games last season so he will look to make a bigger impact in his final season. Based on his 27-point performance in Tech’s exhibition, junior guard Tadric Jackson could step up to be Tech’s top scorer. Jackson averaged 4.7 points a game last year and that number is expected to rise this season. Tech’s top post option this year will be junior center Ben Lammers. Lammers took major strides in his second season and established himself as a very respectable rim protector in conference play. Over the offseason, Lammers added 20 pounds of muscle which should enable to compete better in the post with the top players in the conference. This year’s team has three scholarship freshman to play on perimeter: Josh Okogie, Christian Matthews and Justin Moore. All three players can play multiple positions and that was evident in Tech’s scrimmage last weekend. Moore and Okogie started in last weekend’s scrimmage and had big impact in Tech’s win. Moore is a big point guard with a long wingspan and has the measurements of the new generation guards you now see in the NBA. Okogie is a physical guard who already has great size as a freshman and will have an impact on the defensive end this season. This season is expected to be a challenge for the team. The ACC is loaded this year and possibly the strongest it’s ever been. The wins may not pile up, but a championship is an unrealistic hope. The Jackets open the season vs Tennessee Tech on Friday and will host 18 games this year including Georgia, UNC and Notre Dame.